Remember that most people are opposed to animal cruelty, and it’s important to keep the focus of your conversation on what you have in common. It’s usually best to talk about the extreme cruelty faced by animals at factory farms. Remember to center your conversation on meat eating, not meat eaters, as the problem. They don’t need to hear every reason to go vegan, and you certainly shouldn’t rattle off all the facts you’ve probably read in various articles online. Just keep it simple and personal. Trust that they will ask any questions they may have. 3. Don’t expect them to change. Don’t expect that people will want to change overnight or at all. The conversation will be a much more positive experience if you remove your attachment to their response. All we can do is keep a positive attitude and give people information they need to make informed choices. The rest is up to them. 5. Don’t talk while eating. While you’re eating is probably the worst time to explain to someone why you’re vegan. If someone asks you a question about your diet, offer to speak to him or her afterwards. Remember that most of us grew up eating meat, and many people have no idea what happens to animals before they reach their plates. Really try to understand where they are coming from and let them ask most of the questions. Nobody likes to be judged, pressured, nagged, or told what to do. Give them the benefit of the doubt, and be mindful not to alienate or accuse. You may get asked a lot of questions and it’s OK if you don’t have all the answers. Be honest and speak from personal experience. Don’t let them make you feel ashamed about your choice to ditch cruel animal products. Remember that you’re creating a better world at every meal. 8. Know when to walk away. We can’t convince everyone, and some people get defensive at the mere presence of a vegan. Let them know that you are happy to have an honest, respectful conversation, but that you aren’t there to argue. Want more? 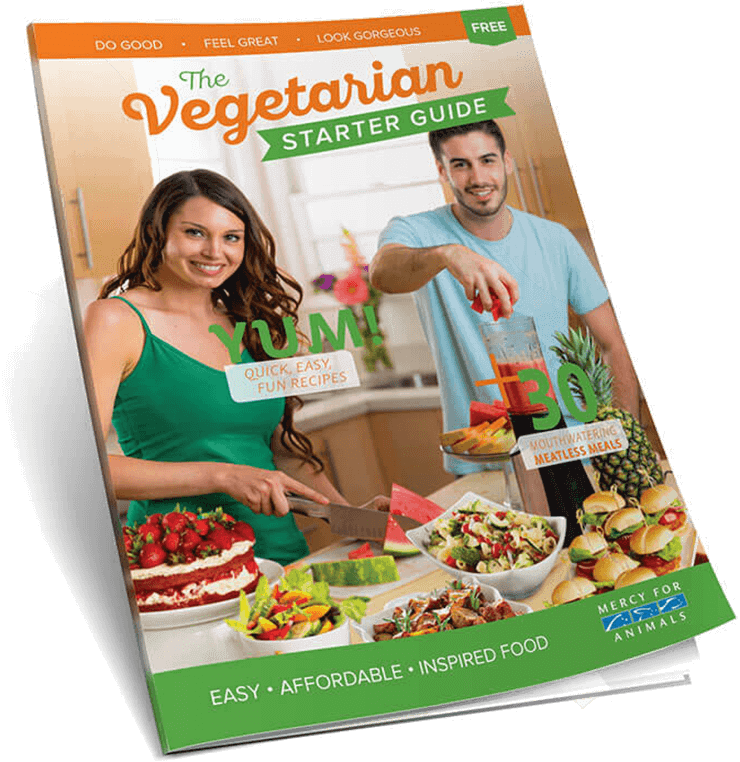 Click here for four things that may just get your friends to go veg.